The Phoenix Ladies Syndicate owned SUPERIOR will make his second career start tonight when he steps up in class and trip in the Al Bastakiya Trial this evening at Meydan. A winner on his debut, he was made to work for that 1600m success but he showed a great attitude to get the better of the well thought of Martial Art, with the pair well clear of the rest giving the form some credibility. Originally slated to run in the 2000 Guineas Trial, a race won in convincing fashion by stable mate Walking Thunder, he was diverted from that path in order to keep him apart from the eventual winner. 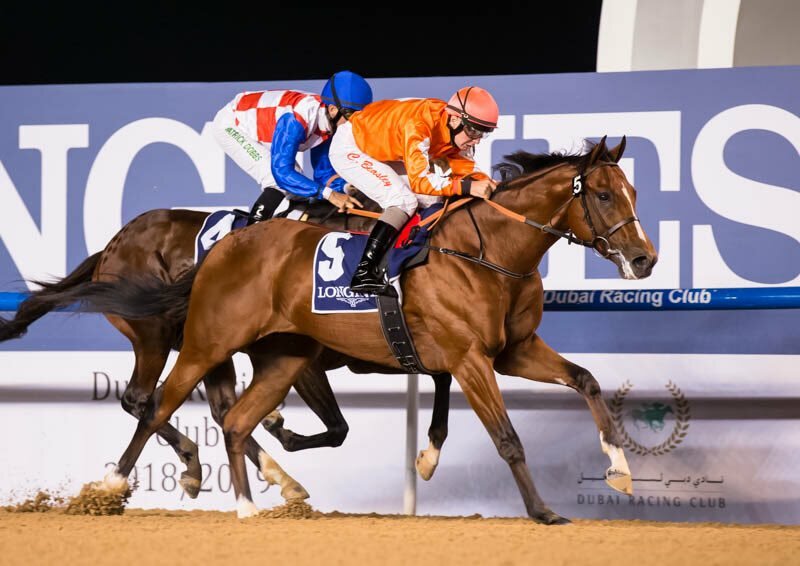 Although connections are taking it one step at a time, if everything goes to plan, the two might very well meet in the UAE Derby, inevitably leading to comparisons being drawn between the two unbeaten colts. Before anyone starts talking seriously about classics, this evening’s test is at the forefront of Harmash’s mind. Drawn four of 15, Superior has to face some stiff opposition this evening but there seems to be a quiet optimism among those who know him best.